We are just in the first few weeks of the 2019 and we still have not seen a new iPhone this year, but that doesn’t stop rumors about the next generation of Apple phones. Interestingly, most of the speculations focus on the devices that will be launched in 2020. As you may suspect, there are few details on an iPhone that is a generation or more away, but you can find different sources of information. Below you’ll find everything we know so far about the iPhone 2020. You can discover a little more about the iPhone camera 2020 due to a change of plans for the iPhone 2019, and we may expect a new powerful camera system of three lenses with a laser sensor 3D, according to sources who spoke with Bloomberg. While a three camera lenses can reach the device that will replace the iPhone XS Max in 2019, it seems that the 3D sensor is delayed until the following year. This sensor is designed to increase the accuracy of depth perception, enable augmented reality features, and can operate at distances of up to 15 feet. According to reports, Apple is working with Sony on the sensor. The characteristics of augmented reality 3D camera could also pave the way for a headset AR, in which it says that Apple is still working, and that could be presented at some point in the next year. There is also the possibility that the system of 3D camera it debuts first in an iPad Pro at the beginning of 2020, before reaching to an iPhone at the end of that year. How will an iPhone almost two years in the future? We don’t know yet, but we should expect “major changes” in the design in 2020 in comparison with the models of 2019, according to sources who spoke with Bloomberg. The main reason for this design change appears to be related to the adoption of connectivity 5G, planned by the company. The new technology affects the choice of material, the size of the device and the capacity of the battery. Apple has been relatively slow to adopt OLED technology in its phones, to be the iPhone X is the first device of the company to adopt this type of display that allows for stronger colors and deeper blacks than LCD screens. The iPhone XS and XS Max also came with OLED screens, but Apple surprised us by announcing the iPhone XR, a product of a lower price equipped with the new screen Liquid Apple’s Retina. Basically, it is a LCD screen that is curved a little more, and we expect to see this technology visited again in the range of iPhones 2019, in at least one model. However, it does not seem that that is the case for the future iPhone 2020. According to the Wall Street Journal, the provider of LCD screens for Apple, Japan Display, plans to the abandonment of the Apple of the LCD technology and is seeking the support of groups of investors in order to survive the future loss of business. 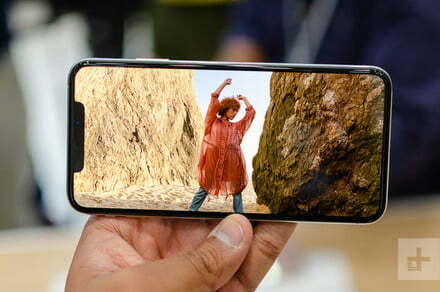 Apparently, sales of the iPhone, the XR did not work as well as expected, and that is why Apple could take the decision of leaving behind the previous technology, with the hope that their sales increase. Intel and Qualcomm may be involved in a continual battle by the chips of the next generation that will help the phones to connect to the network to 5G in the future, and the biggest of those contracts, at least when it comes to consumer devices, has to be the iPhone. Well it seems that Intel may have won this battle. A report from Fast Company ensures that Apple will continue to move forward with the use of modems Intel for the first iPhone 5G, to be launched in 2020. The new report discredits some rumors before, that suggested that Apple would abandon the modems 5G of Intel in the iPhone 2020. In June, Calcalist reported that Apple had notified Intel that would not use their modems, however, the publication soon corrected their story to say that he meant that Apple would not use the chips of Wifi and Bluetooth Intel, and not that I would not use modems Intel 5G. Still, even if Apple will not be using Intel chips for Wifi and Bluetooth, one thing is for sure: he wants to reduce his dependency on other companies. The legal battles between Apple and Qualcomm have been well documented in recent years, and is likely to continue, leaving only two options: to continue with Intel, or create their own modems 5G. For now, it seems that the company has chosen the first. When it comes to models of modem specific, the report from Fast Company suggests that the iPhone in 2020 will use the chip 8161 Intel, which will be manufactured with the process of 10 nanometers. The 8161 has not yet been announced formally yet. We know that Intel is testing a forerunner of the chip, called the 8060, and the reports claim that the 8060 will be the chip that Apple will use for the prototype of the iPhone 2020. No matter in what direction you are finished taking the Apple, almost all the reports point to one thing: the company will launch its first iPhone 5G in 2020. By then, most of the operators in the united States should have implemented at least early versions of their networks 5G. It is a perfect time for an iPhone 5G. Copyright © 2018 The Tech Fox.